LOS ANGELES (AP) — A Los Angeles hospital suspected of discharging hundreds of homeless patients and dumping them at bus and train stations instead of shelters or other facilities agreed to pay a $550,000 legal settlement, prosecutors announced Monday. 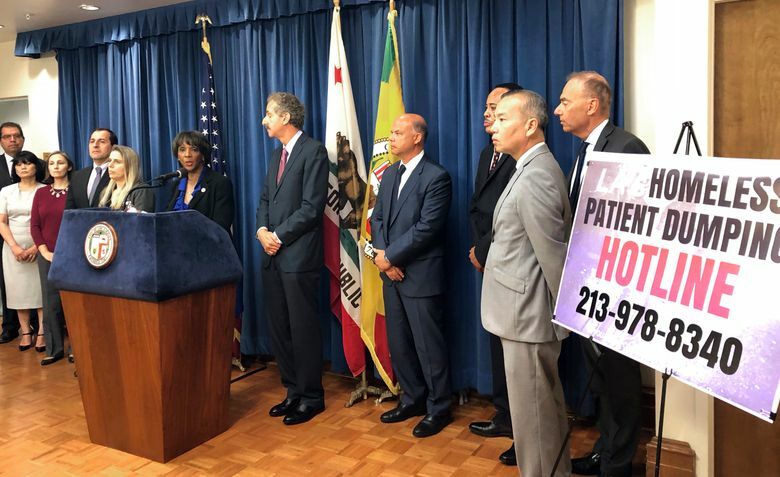 Silver Lake Medical Center, which operates a 118-bed psychiatric facility, agreed to stop the practice and put policies in place to make sure homeless patients are delivered to facilities that can care for them, City Attorney Mike Feuer said. Investigators found more than 750 instances when discharge papers indicated patients were to be sent to shelters, but transportation records show they were dropped elsewhere, Los Angeles County District Attorney Jackie Lacey said. “It’s shameful for a hospital to be dumping people out and essentially saying, ‘I don’t care what happens to you next,'” Lacey said. Dumping homeless patients on the street and Skid Row to fend for themselves has been a problem in Los Angeles for more than a decade. Lacey and Feuer said they plan to hold a summit later this summer with staff from medical facilities, health, social services and police to discuss how to humanely discharge homeless patients. Feuer’s office has reached $4 million in settlements with hospitals, nursing facilities and medical centers in eight cases of unlawfully discharging homeless patients. Silver Lake’s patient dumping was discovered after a whistleblower came forward with allegations, Feuer said. The medical center neither admitted nor denied the allegations, according to the settlement. Administrators at the hospital didn’t immediately reply to requests for comment.